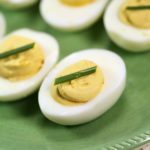 Wondering how to make deviled eggs recipe? This spicy, Sriracha version is loaded with spicy, garlic flavor with just a hint of sweetness. It’s a delicious twist on my classic deviled egg recipe. This easy recipe has the perfect balance of heat, sweetness and creaminess. 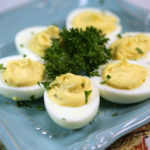 This super flavorful version is a twist on my classic deviled eggs recipe. 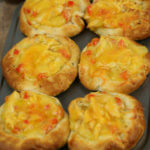 The filling is a combination of egg yolks, mayonnaise, sweet chili sauce, garlic, Sriracha and salt and pepper. You won’t believe how much flavor is packed into the filling. You won’t be able to eat just one of these! 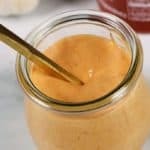 One of the most popular recipes on my website is my Boom Boom Sauce. 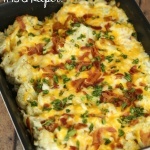 It’s a combination of sweet and spicy and garlic flavors whipped up into a creamy sauce. This sauce is incredible on EVERYTHING! Burgers, fries, shrimp tacos and so much more. I always have a batch in my fridge. I can’t quite tell you what made me combine my classic Deviled Egg recipe with my Boom Boom Sauce recipe. But, I’m so glad I did. This flavor combination is incredible! in the filling. It’s entirely up to you. The amount I included in this recipe is mid-range heat. I would recommend adding the Sriracha slowly until you find the best heat level for your tastes. A while back, I made these spicy Sriracha eggs on WNEP’s Home & Backyard show. 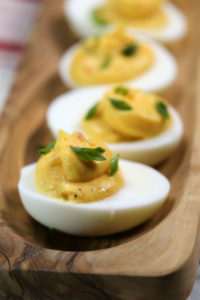 I also made a few other varieties – including my Classic Deviled Egg recipe and my Traditional Southern Deviled Eggs. 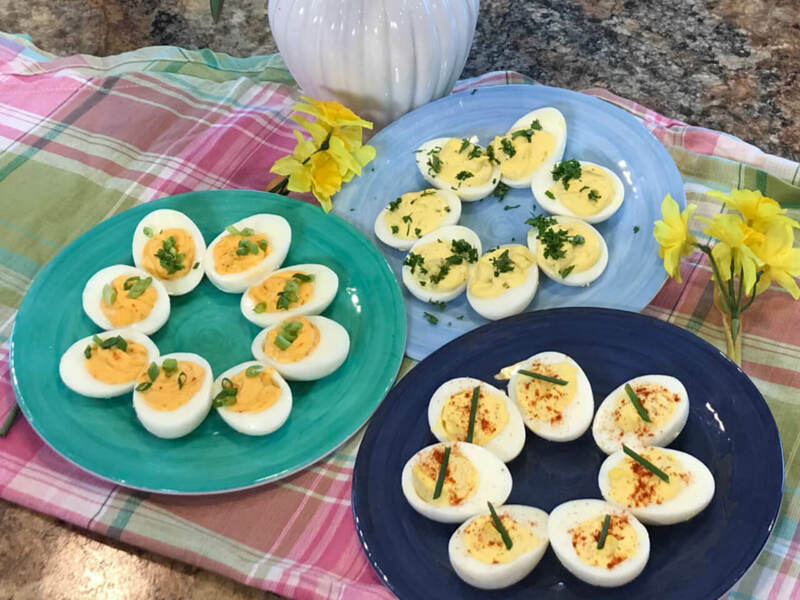 After we finished taping we had an informal taste test of the different deviled egg varieties and these Spicy Sriracha eggs were the clear winner! I’m telling you, the flavor is amazing! Check out this post to learn how to make perfect hard boiled eggs that are easy to peel. to get a super creamy and smooth filling. to pipe the filling into the egg white. If you want to the rustic look, use a zip top bag as to pipe the filling in. Looking for More Recipes with Hard Boiled Eggs? Looking for more? 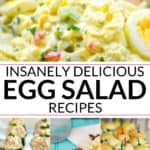 Check out all of the hard boiled eggs recipes on It Is a Keeper. 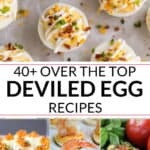 Wondering how to make deviled eggs recipe? This spicy, Sriracha version is loaded with spicy, garlic flavor with just a hint of sweetness. 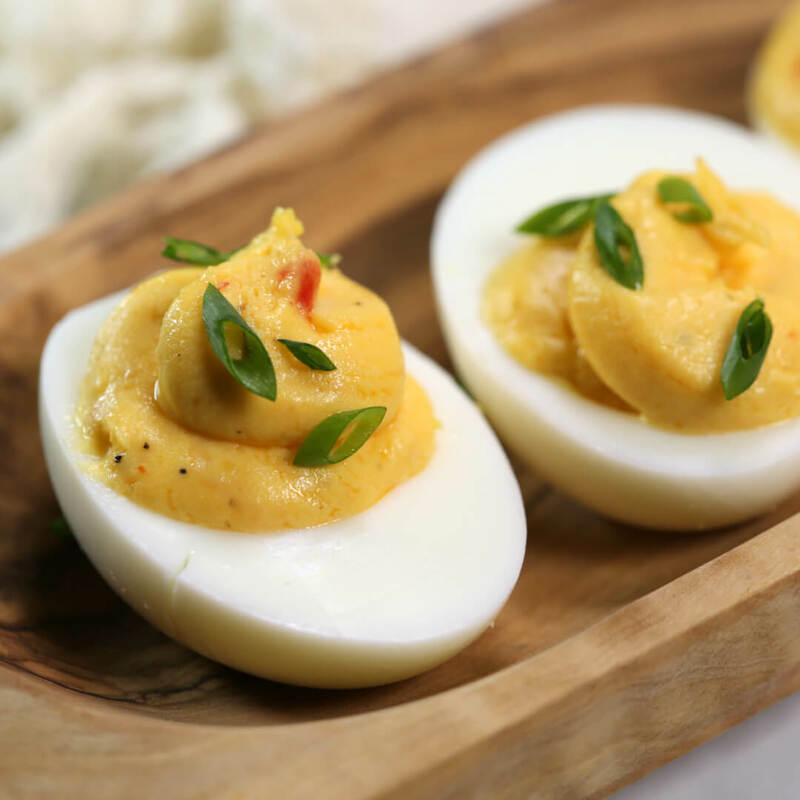 It's a delicious twist on my classic deviled egg recipe. This easy recipe has the perfect balance of heat, sweetness and creaminess. Remove yolks and transfer to the bowl of a food processor. Add mayonnaise, sweet chili sauce, garlic powder, Sriracha and House Seasoning Blend. Transfer to a piping bag and fill egg white halves with filling. Top with garnish of choice. Wondering the best way to make hard boiled eggs that are easy to peel? I tested all of the popular methods (including stove top, microwave, oven and Instant Pot). You can check out the results here.